Ever wanted to see the rare phenomenon Northern Lights aka Aurora Borealis in Iceland? From April to August, it cannot be observed due to the midnight sun which keeps the country lit almost 24 hours a day, but LG is making it happen for audiences around the globe! For one night only, on 20 July 2016, LG has invited nearly one thousand guests to the Lights Out, Stars On concert, giving summer tourists and residents their first opportunity to view the Aurora Borealis during the summer months, via its cutting-edge HDR-enabled 4K OLED TVs at the award-winning Harpa Concert Hall in Reykjavik. With its glass panels resembling the elegant Picture-on-Glass of LG SIGNATURE OLED TV, 40 large OLED TVs will be installed in an array to display the Icelandic night sky on their perfectly black screens with a kick off concert. Throughout the campaign, LG has worked closely with award-winning Icelandic writer and activist Andri Magnason, professional astrophotographer Sean Parker, created original works of art depicting the beautiful Aurora-filled night skies of Iceland and popular tech YouTuber Lewis Hilsenteger of Unbox Therapy will serve as creative director for the campaign. During the 2006 Aurora Borealis viewing season, Icelandic poet and novelist Andri Magnason suggested that the city of Reykjavik come together to make the beauty of the night sky visible within the city for the first time. Magnason wanted the people of Rey-kjavik to see the northern lights and stars against a completely black backdrop. Just as eliminating light pollution allowed the people of Reykjavik to see the lights in all their glory, the pitch black backdrop of OLED TVs heightens the contrast and delivers richer images. Which is where the LG OLED TVs feature comes in. With individually illuminated pixels and eliminating the need for image-distorting LED backlights, the OLED TVs are capable of displaying perfect black images alongside bright, lifelike colors. The campaign will also feature a photography exhibition displaying images of scenic Icelandic landscapes and night skies on LG OLED TVs. Captured by a number of talented Icelandic photographers, the images showing the natural beauty of the heavens and the Earth will be displayed in a whole new perspective on the perfect surfaces of LG OLED TVs. 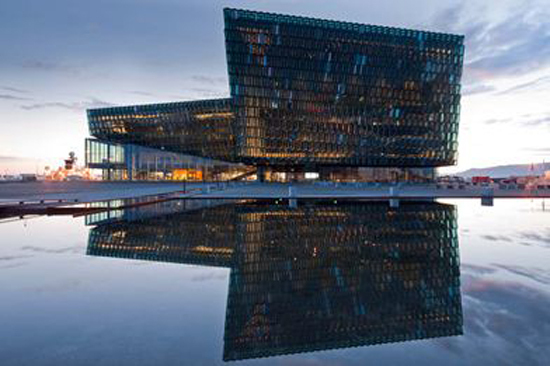 The photo exhibition will run from July 20 until November 20 in Harpa Concert Hall. Tickets are available at www.tix.is/en/event/2973/lights-out-stars-on. And if you want to be there for this once-in-a-lifetime opportunity, there's a global contest running for this campaign, courtesy of LG HQ in Korea. Stand a chance to win tickets to the concert and an all-expenses paid Reykjavik travel package to view the Lights Out, Stars On concert. Competition details can be found at www.facebook.com/lgtv. SHREK THE MUSICAL Was Farting-ly Awesome!